This lentil dish is vegan, seasonal and gluten free. Because you are only using onions and chives as 'vegetables', you can eat this seasonally from March right until the end of October. Cook the green lentils for around 40 minutes or until soft. Also cook the rice for around 40 minutes in a separate pan. Heat the olive oil and fry the onion and garlic for around 10 minutes on a medium to low heat. Add the spices and heat through for another 2 minutes. 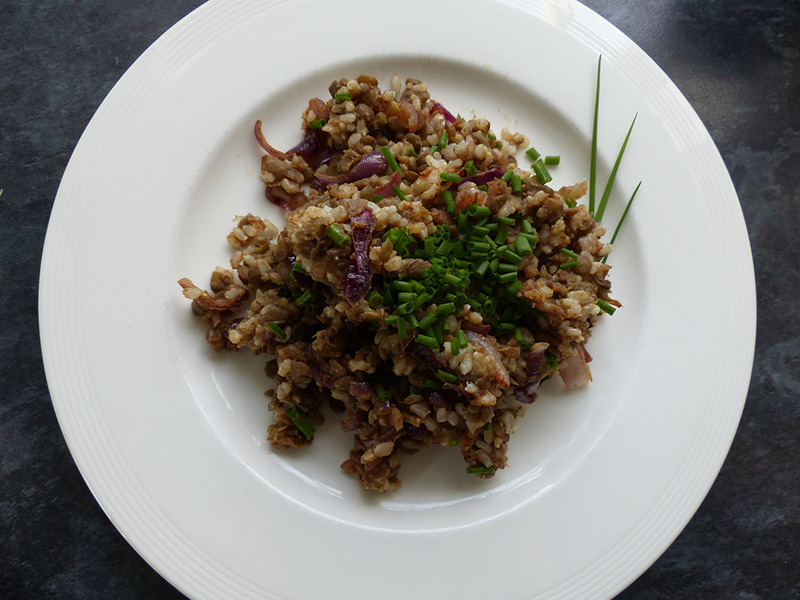 Mix together the lentils, rice, onions and chives. Serve with (homemade) chutney for extra vitamins!